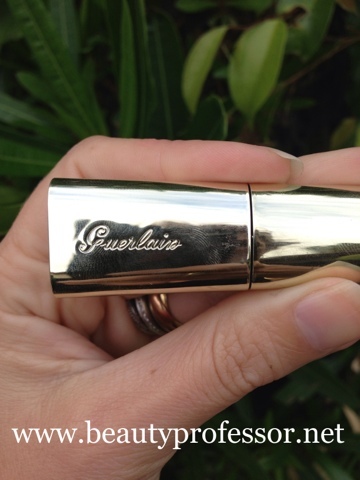 Above: Guerlain Le 2 Mascara...truly a product of beauty. 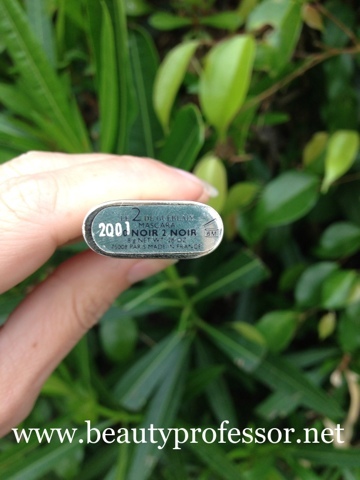 During the Sephora VIB sale, I picked up the Guerlain Le 2 Mascara on a whim, partly due to the fact that I needed a new mascara and partly due to its interesting packaging. 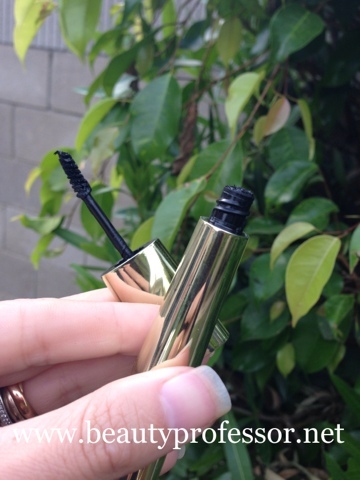 This impulse purchase turned out to be a wise one, as it is currently my new favorite mascara! Retailing for $36, this mascara boasts a dual ended wand, with two different brushes to reach as many lashes as possible. What I like most about this product is the formula...it is a little stiff (as opposed to being runny or wet), so it builds my lashes to great heights and then keeps them there all day long without the annoyance of smudging or flaking off. Also, the volume and length I get is remarkable. I love how quickly I can apply just a couple of coats to get maximum impact. My eyelashes literally touch my eyebrows after a few coats! Scroll on for product images as well as "before and after" pictures...sometimes a visual can say it best! Above: I bought the shade "Noir" which is a deep, rich black. 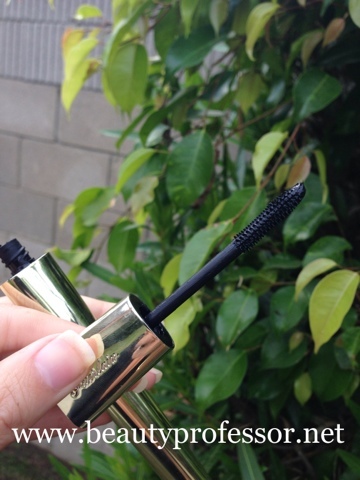 Above: The mascara features two brushes...this one is tiny brush designed to reach the lower lashes (without making a mess) as well as those lashes in the corners of the eyes. Above: The larger brush is the one I use most...just a few strokes and my lashes are built to falsies proportions. I appreciate that this brush is relatively slender, which prevents me from getting mascara all over my orbital area (which can sometimes happen with a fuller brush and a rushed morning). 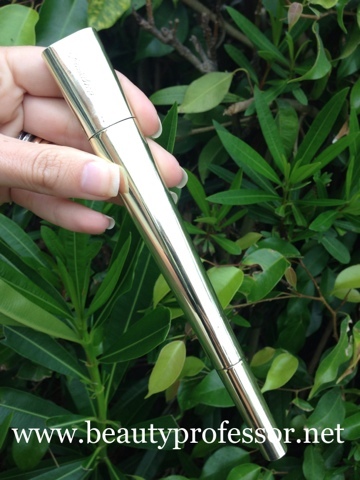 Above: This is the side that houses the larger brush...I like that there is a bit of Guerlain branding on this side only to aid in speed of application! 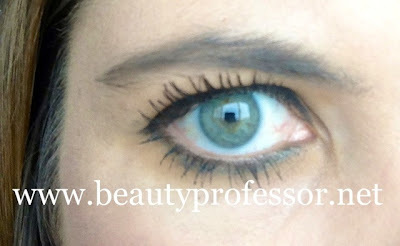 Above: Two coats of Guerlain Le 2 on my eye. 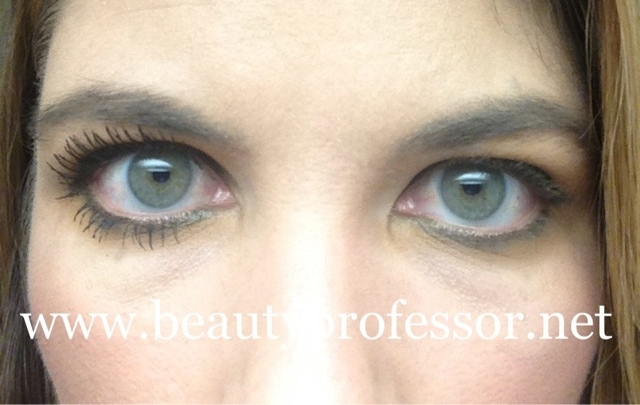 Above: Guerlain Le 2 on my left eye and nothing on my right eye...behold the dramatic difference! Above: The full effect on both eyes! Bottom Line: I haven't liked a new mascara as much as the Guerlain Le 2 in a long time...this mascara is just super effective. A few coats gives me the same satisfaction that I get from applying individual false lashes and the formula is strong and powerful enough to last the entire day without fading away or degrading to a smudgy mess. Highly recommended! That looks like a pretty remarkable product and the great packaging is always a plus! Thanks for the great post, BP! It looks really nice, a little pricey for me.. but i should really learn to invest in a proper mascara. It is a bit of an investment, but the payoff on my lashes is worth it!! Thanks also for the follow!